"Romance & Roses" Solids provides you with the versatile solid digital background papers in the coordinating colours of this Collection. 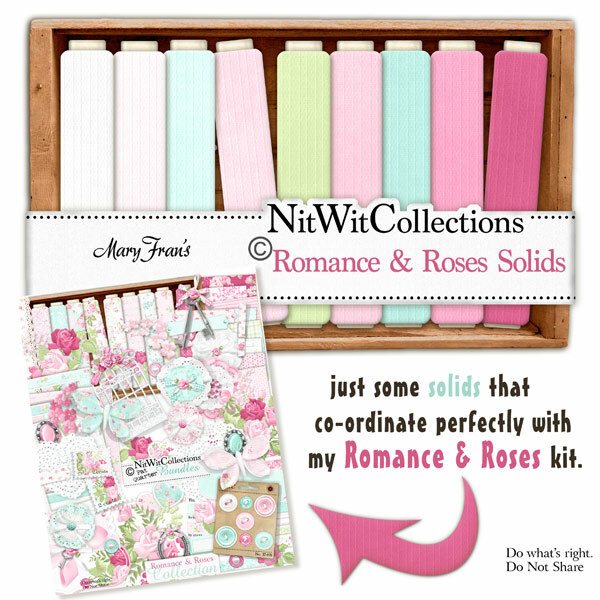 These solid digital papers are NOT included in the FQB "Romance & Roses" Collection so please don't miss out! 10 Solid digital background papers with a lined embossed pattern in them, that coordinate with my "Romance & Roses" Collection.